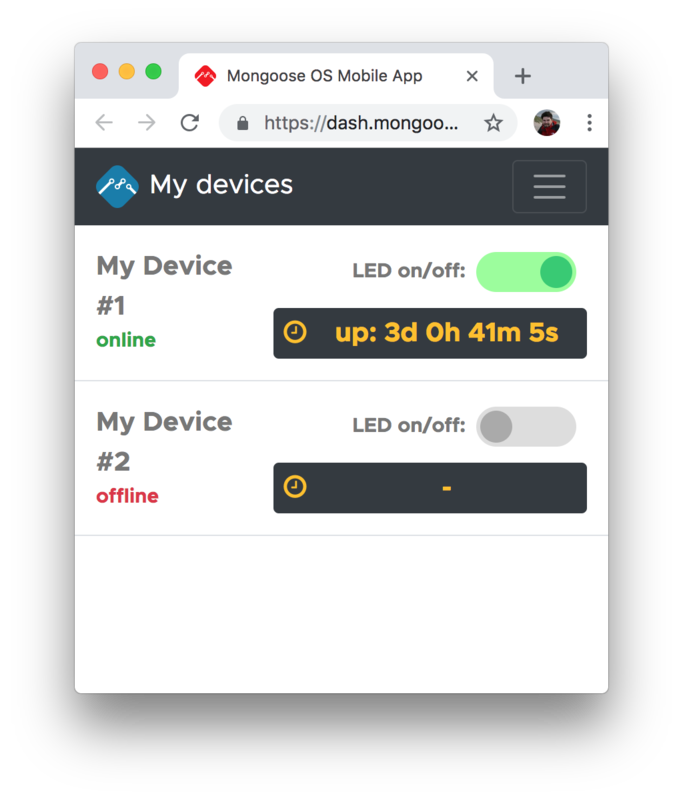 As of September this year, our mDash device management dashboard provides PWA Mobile App support. This feature makes it trivial to pilot a hardware project. Concentrate on your device hardware, and when you are ready to distribute a first batch to your pilot customers, provision your devices on mDash. Via mDash, you have full visibility for all your devices. The mobile app support allows you to email a mobile login link to your customers, so they will be able to control their devices over their mobile phones. No need to develop backend infrastructure - mDash provides everything! You can update your fleet with new versions of firmware, and customise the mobile app when required. Questions? Drop us an email at support@cesanta.com.